Anybody who would like to develop a deeper understanding for ballet technique, ballet terminology and ballet anatomy as well as take on the badass challenge of practicing ballet technique intensly for 3 times a week. Not suitable for complete beginners. 3 lessons a week – two hours per class. Every class will consist of: a warmup, strengthening, a center port de bras/adage, pirouette training, petit allegro, medium allegro, grande allegro & coda work. Every day of the week will have a different theme and focus. 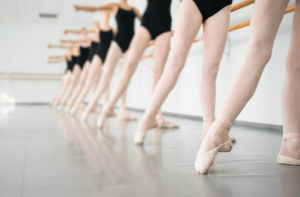 You will leave this challenge with more awareness, more strength, more flexibility, a stronger technical understanding of the techniques and a broader ballet vocabulary.